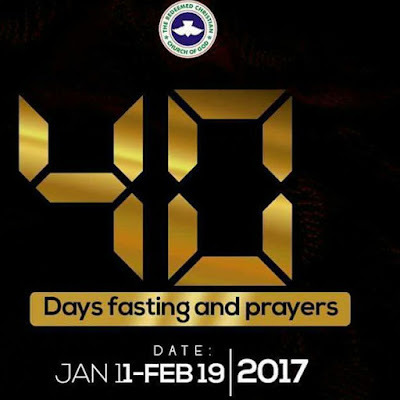 The General Overseer of the Redeemed Christian Church of God (Worldwide), Pastor E A Adeboye has released the fasting and prayer guide for 2017 which containts; theme, prayer points and the Bible texts for the 40 days programme. According to the release by the National Directorate of Prayer for the church, Daddy Adeboye as he is fondly called has prophesied that the vocal word for 2017 is Surprise(s). He reiterated in his prophecies for this year that surprise may be positive or negative but that those who obeyed God’s commandment would experience the positive ones. The following are some guidelines and prayer points that you will find helpful during this month of divine involvement billed for Wednesday 11th January to Sunday 19th February, 2017. Let us thank God for not allowing civil war to tear apart our country. Let us bless the name of the LORD for the new move that brought in the new National Overseer in Nigeria. Let us bless the name of our Lord Jesus Christ for the growth of Christianity in our country. Let us thank God for the Men of honour inspired by the Holy Spirit to move RCCG forward. Father give us the grace to please you in all that we do in this Year 2017. Father give us the grace to wake up and win souls, attend House Fellowships, Digging Deep, Sunday Services and other church programs regularly in this year, 2017. Father, help us to be faithful in honouring you with our first fruit, giving our tithes and offerings regularly throughout this New Year 2017. Father arise, and show yourself mighty on our behalf and on behalf of our parishes and family members. Father arise and help me to stir up the giant in me. Father, you are the help of the helpless; help us to be united and help RCCG to forever be relevant. Let us ask God to scatter every wrong foundation that can mar the strength of the New Army of vibrant youths in RCCG. Let us ask God to uproot every tree he has not planted among the youths in RCCG. Let us pray for a fully armoured Army of vibrant youths in RCCG. Father give us the grace to wake up and win souls, attend House Fellowships, Digging deep, Sunday Services and other church programmes regularly in this year, 2017. Father help me to recover all the lost grounds in this New Year 2017. Let us ask God to be merciful on us in 2017. Father arise and favour us with pleasant surprises in 2017. Arise oh Lord God of Israel and frustrate the plan of the enemy to breed wolves in the coat of sheep to take over as sheep in this Army of vibrant youths in RCCG. Arise oh Lord and send the spirit of confusion of language into the camp of the enemy where wolves in the coat of sheep are being bred and equipped to take over the New Army of vibrant youths in RCCG. Have mercy oh Lord and don’t allow your son Pastor E.A. Adeboye to labour in vain over this New Army of vibrant youths in RCCG. Father arise, and show yourself mighty on our behalf and on behalf of our, parishes and family members. Arise oh Lord, stop and cage any wolf in the coat of sheep that is making progress to get to the top in order to lead this New Army of vibrant youths in RCCG. Jehovah God, expose and frustrate out every wolf in the coat of sheep that is already positioned for battle against the progress of this New Army of vibrant youths in RCCG. Jehovah God, arise and open the Gates of wealth for your Church as you opened it unto Jabez in 2017. O God of Favour, have mercy and open the doors of Favour for Daddy G.O and RCCG all over the world in 2017. Eccl. 9:11, Ps. 102:13, Rom. 9:15-16 in this New year 2017. Let us commit the work going on in National Redemption Garden in Camp into the hand of God for speedy completion. Arise O’ LORD, and let your enemies be scattered concerning the National Redemption Garden in Camp and let all those hindering the job be relocated. Let us pray that God will raise helpers of destiny financially for completion of National Redemption Garden in Camp. Pray for a permanent stoppage to flood disaster and the destruction of properties through fire accident all over the world. Pray that God in His mercy will make our country to be far from oppression. Isa.54:13. Let us pray against plane crash and other natural disasters that Satan can engineer all over the world. Let us pray against the death of infants, pregnant women and the youths. Let us pray against ritual killing activities in Nigeria. Let us pray that ritual killing business will lose its market and patronage in Nigeria and in any part of the world where it is being practised forever in Jesus’ name. Let us use the blood of Jesus to frustrate any programmed plane crash in Nigeria and anywhere in the world. Father give us the grace to wake up and win souls, attend House Fellowships, Digging deep; Sunday Services and other church programmes regularly in this year, 2017. Father arise, and show Yourself mighty on our behalf and on the behalf of our parishes and family members. Let us pray against fire accident due to fuel theft and vandalising of fuel pipes in Nigeria. Father, help us to be faithful in honouring You with our first fruit, giving our tithes and offering regularly throughout this New Year 2017. Pray that God will reverse the irreversible in your life in this 2017. Plasm 126. Father give us the grace to wake up and win souls, attend House Fellowships, Digging Deep, Sunday Services and other church programme regularly in this year, 2017. Ask God to give you the very best He can give to any man in this Year 2017. Father, help us to be faithful in honouring You with our first fruit, giving our tithes and offerings, regularly throughout this New Year 2017. Arise Lord Jesus, disregard my family background and grant me an unprecedented promotion in life. Let us pray against sickness and illness that will not allow children to fulfil destiny. Let us pray that God will remember the barren and those suffering from secondary infertility in this programme in this Year 2017. 1Sam. 1:16-20. Let us pray that God will use Daddy G O like never before on the weekend of 2017 Children Holy Ghost service. Let us ask God to grant unto our children wisdom and understanding to excel in life. Let us ask God to purge His Church through every programme that we will be doing in RCCG in 2017. 2Tim.3:19-21. Let us ask God to visit families and turn things round for the better for them. 1 Chron.13:14. Let us pray that God will have mercy and visit the foundation of every member of our families. Exo.20:5-6; Room.9:15-16. Let us pray that God will favour our overage spinsters and brothers with peaceful marriages this year. Eccl.9:11. Let us thank God for using Let’s Go A Fishing programme to populate His kingdom. Acts. 2:37-47. Pray for more strength for Daddy G O and all the Pastors, Ministers and workers, that God will use them mightily this 2017 Easter Let’s Go A Fishing. Deut.33:25; Josh.14:11; 1 Chron.29:12; Josh. 14:9. Let us pray for divine visitation during this 2017 Easter Let’s Go A Fishing all over the world. Ps.111:9; Ps.113:9-10; Gen.49:25. Let us pray for the purpose of God to be established in the life of God’s children in this programme. Eccl.8:6; Rom.9:1; Eph.1:11. Let us pray for full restoration in this Easter programme. Ps.126:1-6. Let us commit the Engineering Department, Choir, Ushers, Prayer Warriors and other workers in the church into the hands of God in this 2017 Easter Let’s Go A Fishing programme. 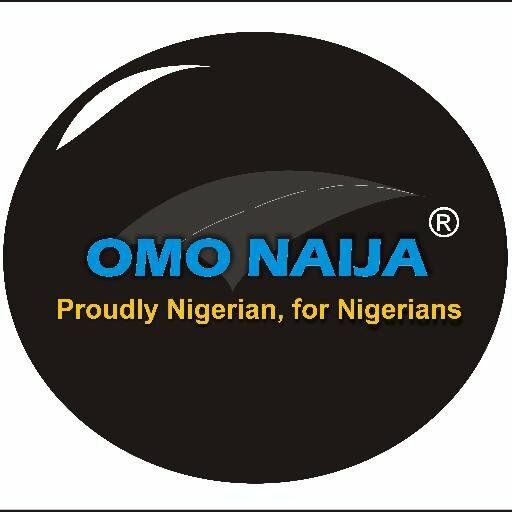 Let us pray against the kidnappers, ritual killers and armed robbers. Ps.124:6; Prov. 15:30. Pray for financial supply during this 2017 Easter programme. Let us pray for sound health for workers and ministers during this 2017 Easter crusades. Let us pray for a bumper harvest of souls during the Easter Let’s Go A Fishing programme of 2017. Let us pray against any form of distraction that the power of darkness may cause during 2017 Easter programme. Let us thank God for the Ultimate Power of God that established RCCG. Let the Resurrection power shake RCCG and make every good thing that is dying resurrect. Father, give us the grace to please You in all that we do in this Year 2017. PREAMBLE: The General Overseer of the Redeemed Christian Church of God (Worldwide), Pastor E A Adeboye told us that the vocal word for 2017 is Surprise(s). He reiterated in his prophecies for this year that surprise may be positive or negative. May God help us to experience pleasant surprises but cause those making life miserable for us to encounter negative experiences in Jesus’ name. Amen.